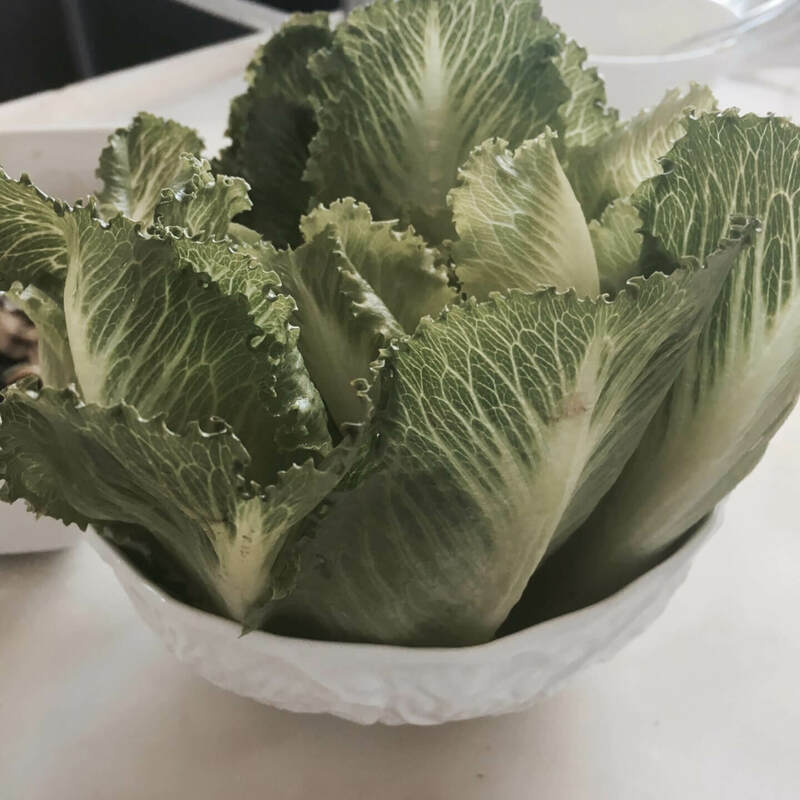 Firstly wash the cos lettuce, dry and place standing up in a bowl. 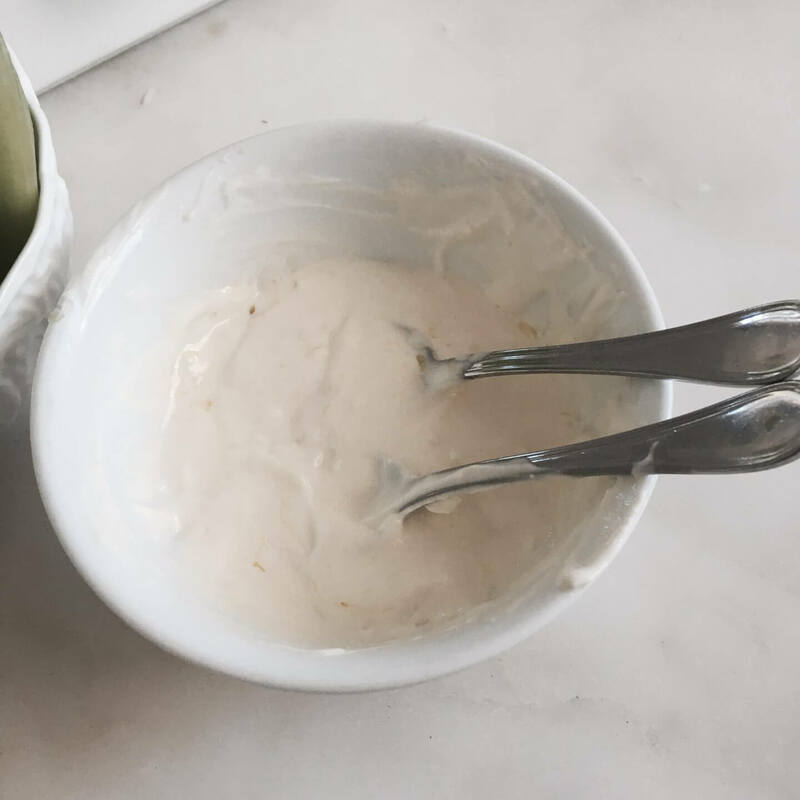 Next in a mixing bowl crush the clove of garlic then add the natural yogurt, Squeeze in half of a lemon, a dollop of mayonnaise and a drizzle of oil. Then mix all ingredients together. Drizzle over lettuce and voilà. Cos lettuce contains vitamins, antioxidants, minerals, phytonutrients and fiber. This plant is low in calories and high in water volume and folate. Garlic contains anti-bacterial and anti-fungal properties and helps keep bad gut bacteria at bay. Natural yogurt contains all nine essential amino acids and probiotics which are the good kind of bacteria. It also contributes to your daily intake of calcium, vitamin B12, magnesium and potassium. Firstly wash all you ingredients before mixing together. Take your red onion and thinly dice it. 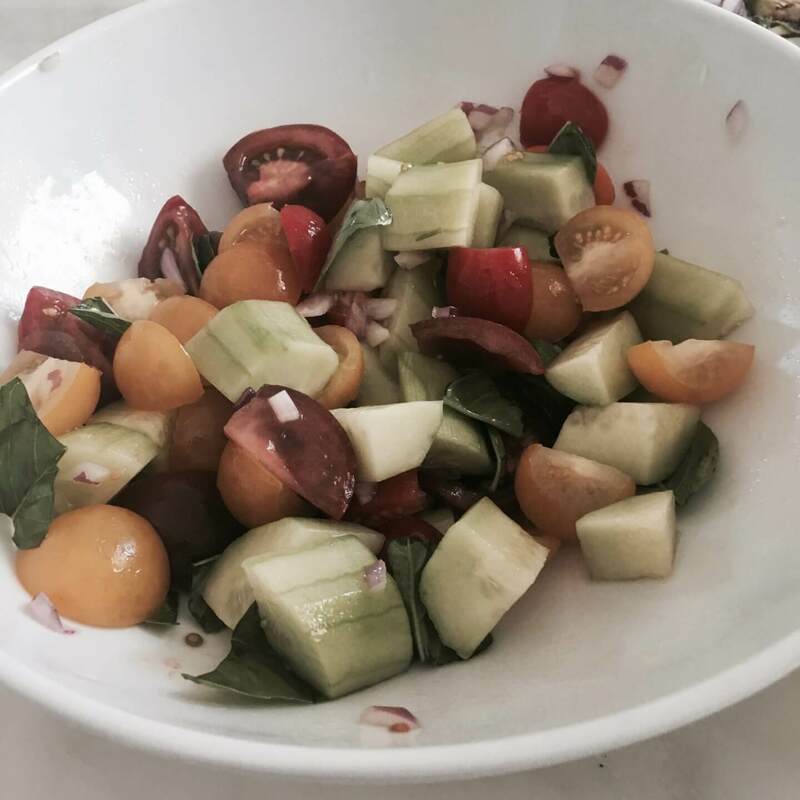 Next cut your tomato in half and your cucumber into cubes. Place these into a large serving bowl. Take your basil and roughly tear it up over other ingredients. Finally drizzle olive oil over ingredients and add a good dash of white balsamic vinegar. Mix ingredients together and you are ready to serve. Tomatoes are full of antioxidants and high ion vitamins and minerals. They also provide a good source of potassium manganese, magnesium, phosphorous and copper. Cucumbers have a high water volume and are great to get you hydrated. It also provides a great source of vitamins, copper and potassium. They also contain an anti-inflammatory flavonol called fisetin, which is thought to play an important role in brain health. Red onion is full of vitamins and minerals, including folate, thiamine, calcium, magnesium, potassium, manganese. They also have anti-fungal, anti-bacterial, and anti-inflammatory properties to help maintain good gut health. Basil is a great herb that is nutrient-dense and is anti-inflammatory, liver protector and an immune booster. Firstly wash all you ingredients before mixing together. Take your red onion and thinly dice it and set aside. Next thinly slice your zucchini. 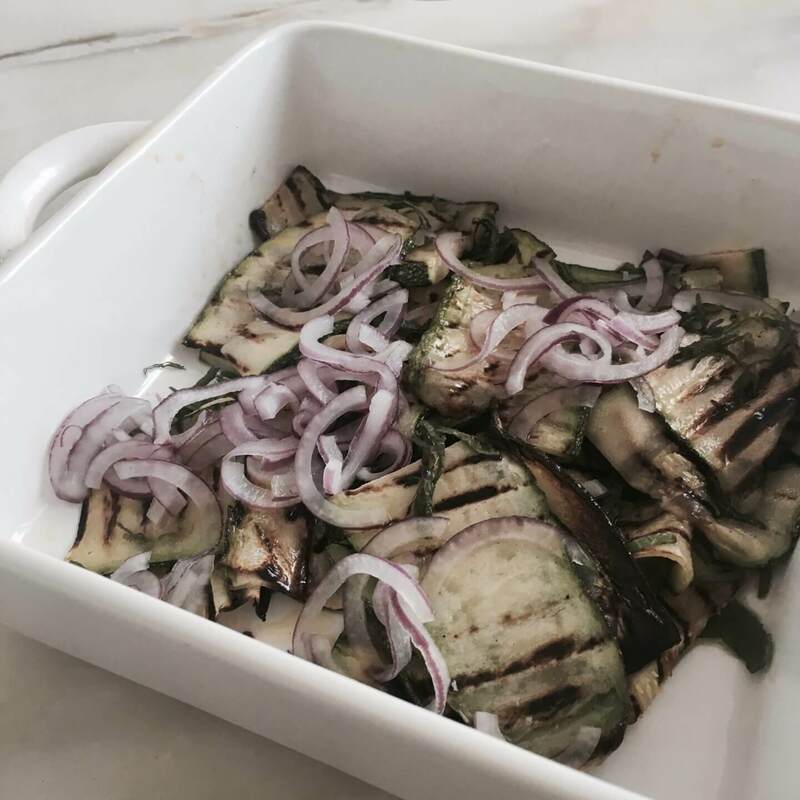 Place zucchini into a mixing bowl and drizzle with olive oil and some salt a pepper to taste. Next place zucchini a medium skillet over medium heat saute for 2 minutes on each side or until cooked. Add zucchini to a serving dish and squeeze lemon over the top and a dash more of olive oil. Take your mint and roughly tear it up over other zucchini. Sprinkle the onion on top if desire. Now ready to serve hot or cold. Zucchini is a good source of Vitamin C, Vitamin A, protein, fiber, potassium and folate. The fruite is great to help maintain optimal health and is also thought to be beneficial in weight loss. Lemon contains vitamin C,B6, A, E, folate, riboflavin, copper,calcium, iron, magnesium, potassium, zinc, phosphorus and protein. It helps with indigestion and constipation as well as helping control high blood pressure. Mint is best known to freshen bad breath. It contains small amounts of several key vitamins, minerals, fiber and potassium. This herb is also known to provide relief from nausea and ease digestion.